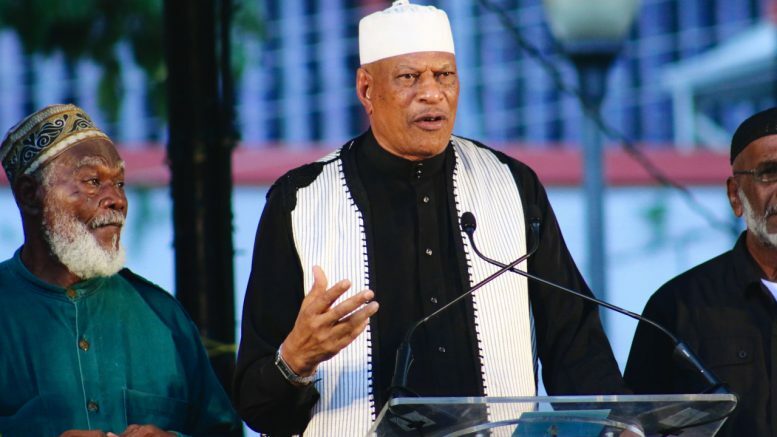 Indrani Maharaj-Abu Bakr, one of the Imam’s four wives, and his son, Ayinde, successfully bid on two properties which were on the auction block yesterday. Soon said there was no difficulty with Abu Bakr’s family repurchasing the properties, since according to the terms of the sale “parties are at liberty to bid”. “If Mr Bakr himself wanted to bid on a property we would have accepted his bid. So if it is okay for him then it must be okay for his family,” Soon said after the auction. The State raised $5,212,000 at yesterday’s auction. The auction came as a result of a ruling by Justice Rajendra Narine on September 11 last year. It is now up to the State to determine how to recover the $37 million shortfall, Soon said. 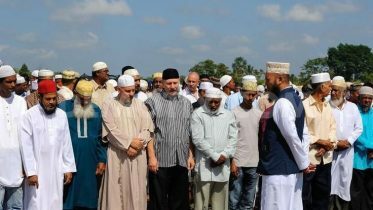 The total price of the two properties purchased by the Imam’s wife and son was $2.4 million. “We anticipated a better turnout. I believe if there were more people present the competition would have pushed the prices higher,” Soon said of the procedure. There were 62 registered bidders at yesterday’s auction, according to registration forms. Abu Bakr and a group of Jamaat members, dressed in khaki uniforms and black kippahs, formed part of the audience at yesterday’s auction. Abu Bakr left the auction around 11 a.m.
“The properties are being sold ‘as is and where is’. So I give no warranty as to title. You buy at your own risk,” Soon told prospective bidders. At the end of yesterday’s auction only a house and property at La Puerta, Diego Martin, was left unsold. It was being offered for $1.1 million. Abu Bakr’s son Fuad made a $100,000 bid for the property. It was refused by Soon. Ayinde Abu Bakr bought an undivided half-share of property and building at #10 Park Avenue Queen’s Park East, Port of Spain, for $1.1 million. A man named Narine, who refused to give his first name, bought two properties at yesterday’s auction. These included a parcel of land at Lot 5 in Guayaguayare, Mayaro, for $72,000, in addition to land and a house at “Zorro” Las Cuevas for $380,000. “No comment,” Abu Bakr said. Contacted an hour after the auction, Attorney General Anand Ramlogan, who ordered the auction on the State’s behalf, said he was not in a position to comment on the proceedings, as he was not present. He said, however, that he had staff at the event who were to present a report to him. He said then that he would be in a position to comment after reading the report, but attempts to reach him last evening were unsuccessful as calls to his cell phone went unanswered and he did not return calls or text messages sent to him. Be the first to comment on "T & T 1990 coup Leaders property auctioned by the State"